Google didn't forged this beautiful sentence. Gartner did. I heard "cloud is the new black" during a training session inside a Google's office. You could think that this means that cloud is basic. But why did they say it? Google didn't forged this beautiful sentence. Gartner did. What Gartner means at that point by assuming that "cloud is the new black"? 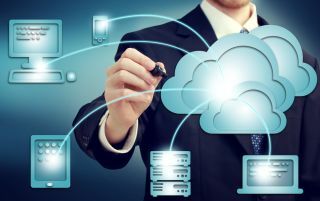 In short terms, Gartner said that the cloud market has potential to reach a US$ 1 trillion Market. When, right now, it's just a US$ 56 billion Market. Google repeats that for commercial purposes, of course. The reasons are the same for Microsoft, AWS and any other cloud provider: scalability, stability, abstraction of infrastructure processes and so on. And I totally agree with their reasons. But without considering those technical questions, to the final business results in terms of money, why is the cloud so basic? How does that come to our businesses? Yes, there are already a lot of companies moving to cloud and starting their applications inside the cloud. But I still can easily find many companies that aren't even considering the cloud move. Inside my reality, it's hard to understand. How can they not see cloud´s benefits? How can they still use its machines and spend millions of dollars buying more and more storage every 6 months? For me it's a waste of time. I'll explain why. The rooms where the machines are hosted. They cost money. On few companies, I've already seen very expensive blocks, inside noble areas like São Paulo, being used to host machines. They don't need the datacenter to be that close to the offices. The latency doesn't matter that much. I'm 100 per cent sure. For sure if they remove everything there and rent the space, the renting revenues will pay for a big slice of monthly cloud cost. What if they sell it? It would mean more investments for areas in need of that money to innovate and be in front of their competitors. Because of that lack of money, those areas are wasting time. It's waste of time. Recently, in a datacentre, close to the company where I work, had a fire issue. Many governmental and private companies, core and non-core systems, were affected. And where were the backups? Inside the same building. Because of the fire, the fireman and police didn't allow the technical team to get there and move the information to another datacentre. The replication wasn't automatized. It caused more than 12 hours of unavailable systems. Can you imagine any company inside any industry without receiving transactions during this whole period? Imagine the financial area. It´s hard. Now imagine a factory without systems for 12 hours. They won't sell for a whole day? You could answer "Yeah, but we can 'take notes'". The employees don't remember how to hold a pen this far. They also won't know how much they´ve produced of what they produced. They won't know how many times they spent producing things. But the main thing here is the overhead that will be created inside those companies to put everything back into the systems. Talking about the Brazilian market, they can even get a fine from the government because of some missing transactions on that day. What does all that means? Waste of time. 3. Why not the cloud? I have a client who runs a retail solution on the cloud. The solution has been running for the last 2 years without downtime. Is it a core solution to their business? No, it's not. But the fact that they don't have headaches with that small system, saves them time to think about other things. Avoids tickets on traditional infrastructure teams. Saves their mental health also. Of course the cloud itself is not the only answer for the application stability. They do care about quality on their development process. Then all these benefits come easily. 4. When will companies decide to migrate to cloud? It all makes me think that using the cloud is related to maturity. Now a quick link with internet-related startups: companies who grow unbelievable percentages every year in the entire world. The biggest part of them has the cloud in common. Most of their business models wouldn't be possible without it. The traditional companies, which already felt startups "bothering" their market shares, are moving, or already moved to the cloud. A new environment to create a new app can take up to 1 month to be released by the infrastructure team to the development team to start work. It means one month less for that project. Within cloud it's solved in less than an hour. Analytics information being generated only with the data considering the day before the current. In cloud you can have live information to take your decisions. Analysing petabytes of data without having to do that on the weekend, when there's no concurrency with other systems running. In cloud you can do that whenever you want without buying millions of dollars of infrastructure in advance. All these examples want to say the same thing: when the companies start feeling they are being left behind because they are slower than their competitors (either it is a startup or not), they will change. So, why cloud is the new black? So… Getting back to this topic, why cloud is the new black? Because it means saving time. Because if this text made you remember of any issue you are having, or you may have inside your company, it means you will run after to solve it. It won't be a short run to find all the responsible ones for everything and asking them to change to your new conceptions. It will take weeks. Months maybe. Those weeks or months spent by the team looking to fix or prevent something to happen, means weeks or months not looking to improve the business, not looking to be in front of competitors. The IT area is not the support anymore. It can't JUST be prepared to whatever the other areas will demand. It HAS to be the one of the leading business areas. And why is that true? The IT guys know what technology can do. The other areas don't.